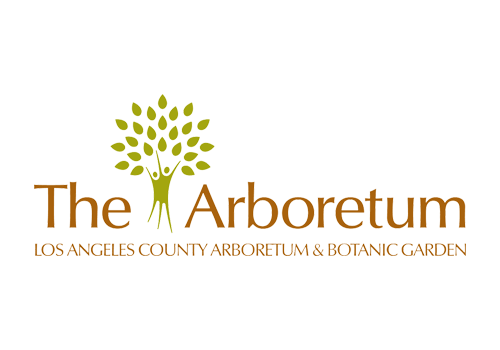 Proceeds benefit the LA Arboretum Foundation, Methodist Hospital Foundation, CARMA, the Gilb Museum of Arcadia Heritage, and local high schools including Arcadia High School, El Monte High School, Alhambra High School, and Arroyo High School. This year, it is easier than ever to help a worthy school or non-profit organization. When you use our online entry form, simply select a beneficiary from the drop down list. That will send $5 of your entry fee to the beneficiary you select, with no increase in your entry fee! Read more about each beneficiary below. The Los Angeles County Arboretum and Botanic Garden is a unique 127-acre botanical garden and historical site located in what was the heart of the historic Rancho Santa Anita in the city of Arcadia. 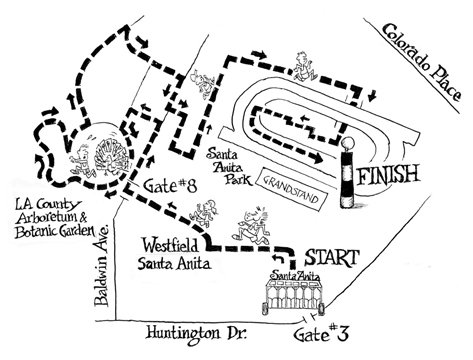 Our race course runs through the Los Angeles County Arboretum & Botanic Garden and finishes on the legendary Santa Anita Race Track! View a course map here. 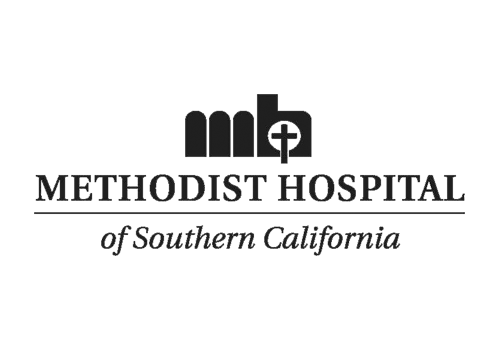 Methodist Hospital Foundation strives to provide the people of the San Gabriel Valley and Los Angeles County with comprehensive medical services. We are a non-profit hospital, and donations go a long way in aiding us in our mission and expanding our services. Through gifts, philanthropic support, and donations, we have grown into a vibrant, state-of-the-art facility equipped with advanced technology, and we’re still looking for ways to improve. 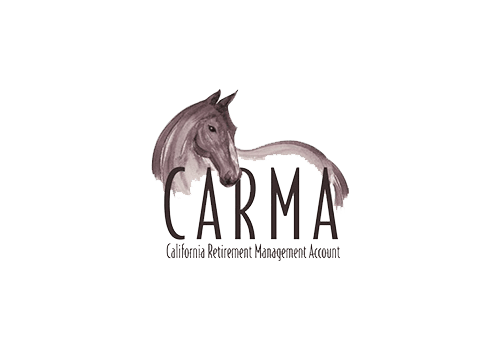 California Retirement Management Account (CARMA) is a 501c3 non-profit organization founded in 2007 to raise money for retired racehorses. It is responsible for hosting fundraising events, educating owners and trainers on equine retirement, raising awareness and working to unify the racing industry in support of its equine athletes. 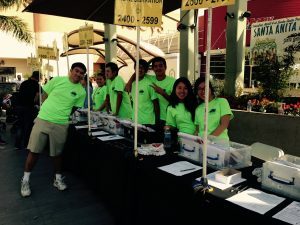 Local high schools also benefit from our event, including Arcadia High School, El Monte High School, Alhambra High School, and Arroyo High School. Many of our volunteers are students from these schools. Without their help, our event wouldn’t be possible. 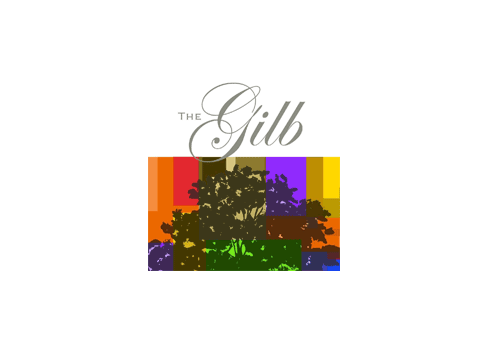 The mission of the Gilb Museum of Arcadia Heritage is to collect, preserve and recognize Arcadia’s heritage; to create a shared identity for a diverse community; and to celebrate the City’s rich history with exhibits and educational programs that will encourage community involvement. The Edwin J. Gregson Foundation provides programs to benefit and enhance the quality of life of California thoroughbred horse racing industry backstretch workers, the caretakers of the racehorses, and their families. The Foundation’s major focus is to provide scholarship grants to college-bound individuals, as well as supports other important programs, such as English as a Second Language and literacy classes, and recreation and sport activities. The Foundation is committed to assisting financially needy backstretch workers in securing resources necessary for their children to attend college, with the added hope that the Scholarship Fund will be instrumental in cultivating individuals who will serve as positive contributors to society.